The Philadelphia Business Journal launched a new initiative in 2017 to identify the fastest-growing companies in Greater Philadelphia. Called “Soaring 76,” the results are now in! All 76 companies who made the list are identified in the accompanying photo gallery – in alphabetical order. We’re keeping the actual rank a secret until a special event at SugarHouse Casino on Sept. 28. The companies will be featured in a special report in the Sept. 29 weekly edition of the Philadelphia Business Journal. How did we determine the fastest-growing companies? 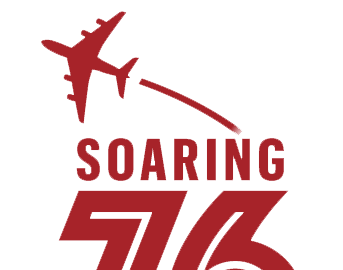 We solicited nominations for Soaring 76 from March through June of this year. Then, for the companies who qualified, we looked at revenue growth over a three-year period from 2014 to 2016. Specifically, the final list ranking comes from averaging the percent change in revenue from 2014 to 2015 and the percent change from 2015 to 2016. Companies were required to be headquartered in Greater Philadelphia, have no parent company and have generated at least $750,000 in revenue in 2014 and at least $2 million in 2016 to qualify. We partnered with accounting and consulting firm CliftonLarsonAllen LLP to verify the revenue numbers at each nominated company. In Pennsylvania, it’s Philadelphia, Bucks, Delaware, Montgomery, Berks, Chester, Lancaster and Lehigh counties. In New Jersey, it’s Camden, Burlington, Gloucester, Atlantic, Salem, Cumberland, Ocean, Mercer and Cape May counties. In Delaware, it’s New Castle and Kent counties. Bernardon was ranked #53, with a two-year growth rate of 22.8%. Originally published in the Philadelphia Business Journal. To see the full list, visit www.bizjournals.com/philadelphia.